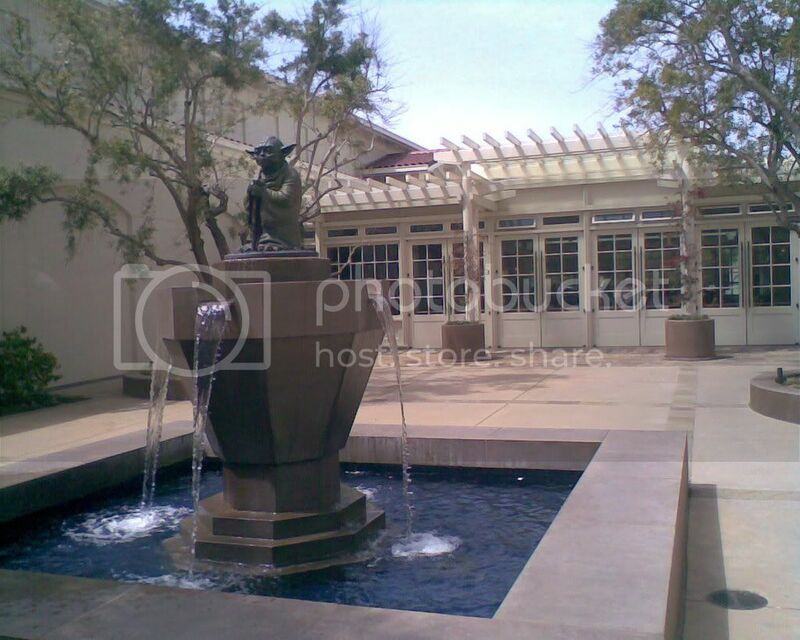 The Lobotomist's Dream: Lucasfilm and the Presidio: Pictures! So, I had my interview with Lucasfilm yesterday. I'll refrain from saying anything about it for the moment (aside from the fact that I overdressed), but I should find out by the end of the week whether or not I have the position, so I'm keeping my fingers crossed in a cautiously optimistic way. 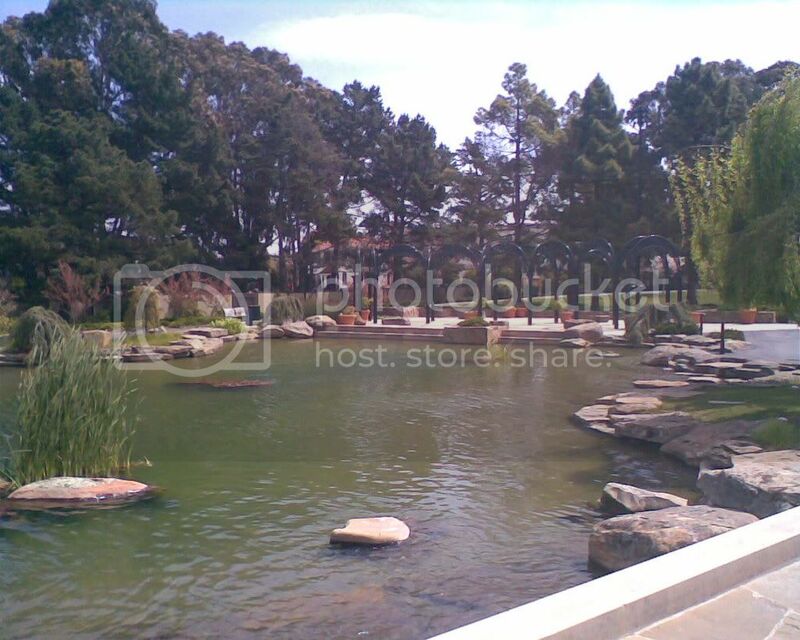 In the meanwhile, I'll show you some pictures I took while at the place where I could potentially work! While this may not sound exciting, Lucasfilm is located at the San Francisco Presidio, which is, in a word, gorgeous. I had arrived early, so I walked around. I also walked around after the interview. I walked around quite a bit, taking in the scenery. These cell-phone pictures really don't do it justice. However, justice was never one of my strong points, so I'll show them anyway. Let's take a look. 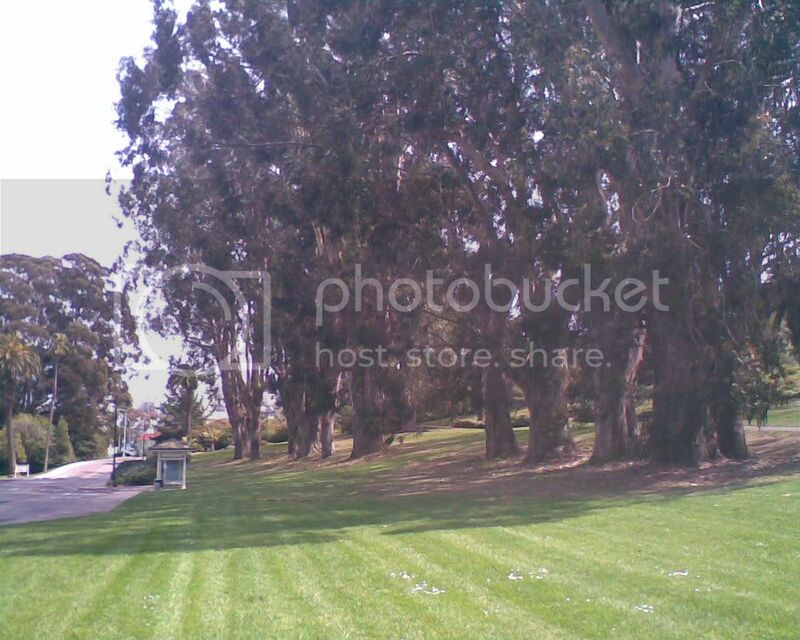 The Presidio is a very green place. There are lots of trees. This tree was particularly large and interesting. And I also believe this is the first time I've gotten an honest-to-goodness lens flare in a photo. More trees. The place was quite wide-open, as you can see. And although I'm completely ignorant about botany (by choice), I think those might be fairly robust Eucalyptus trees. Prove me wrong, science, prove me wrong! 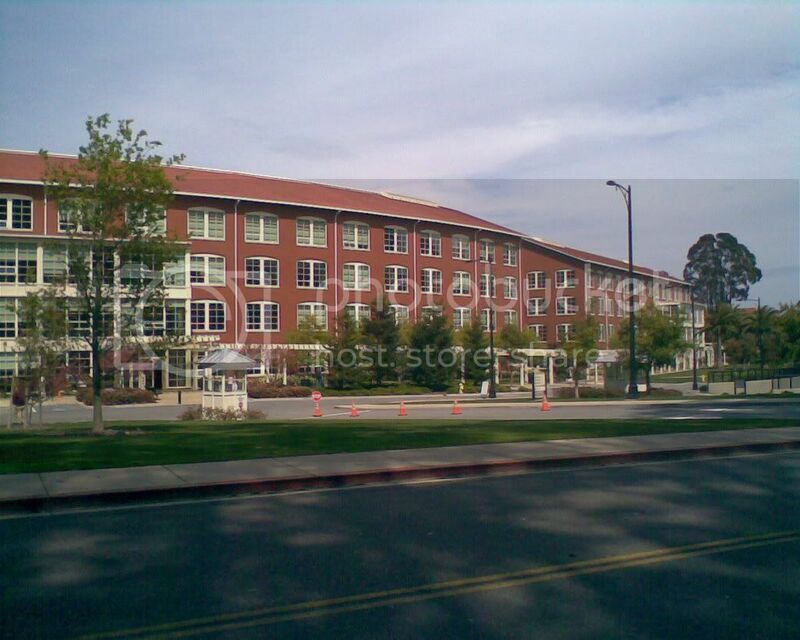 So, this is one of the several buildings which encompass the Letterman Digital Arts Center, which houses the various branches of the Lucas Empire. While definitely modern on the inside, the outsides have a definite 1920s retro feel to them. This isn't the building that I would be working in, should I get the position, but it is the most red building, so that's worth something. 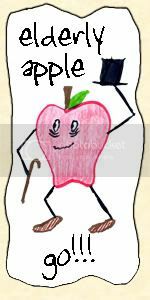 Okay, look at this picture and tell me with a straight face that your mind did not wander here. 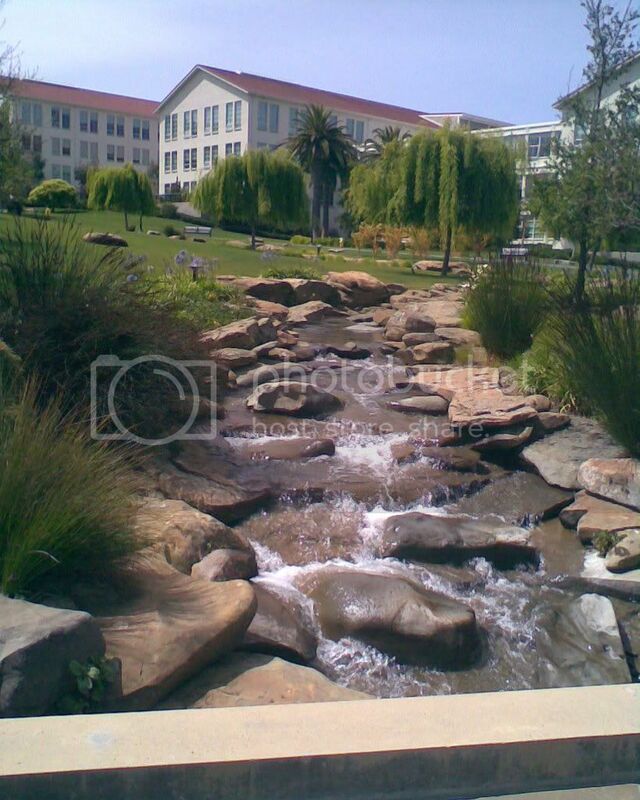 Now, that is the building I would be working in, complete with an outdoor stream that seems to spring from nowhere. I wonder if there is something therapeutic about creeks and streams, because they always seem to make me feel better. 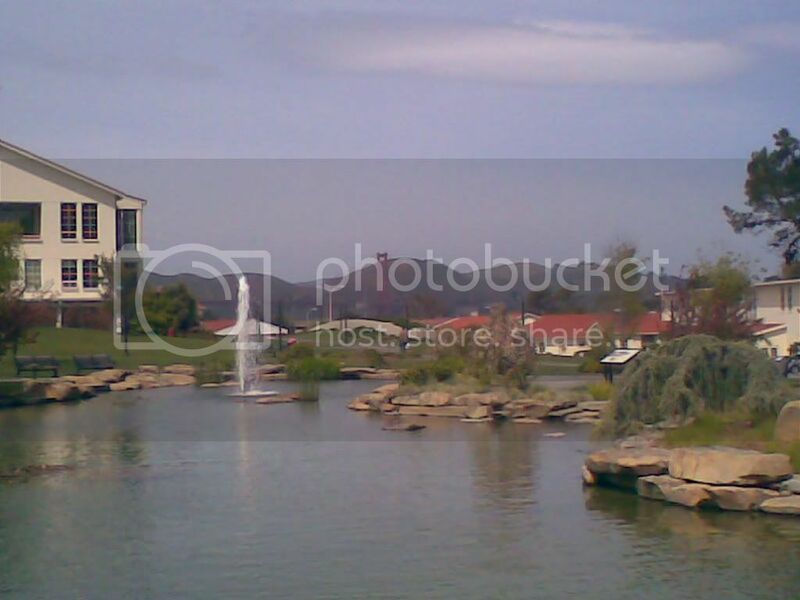 A pond mean to imitate celebrate the wetlands that used to exist in the Bay Area before it was all built up and industrialized. I don't know, I just thought this was funny. And this is the entrance to the main lobby. 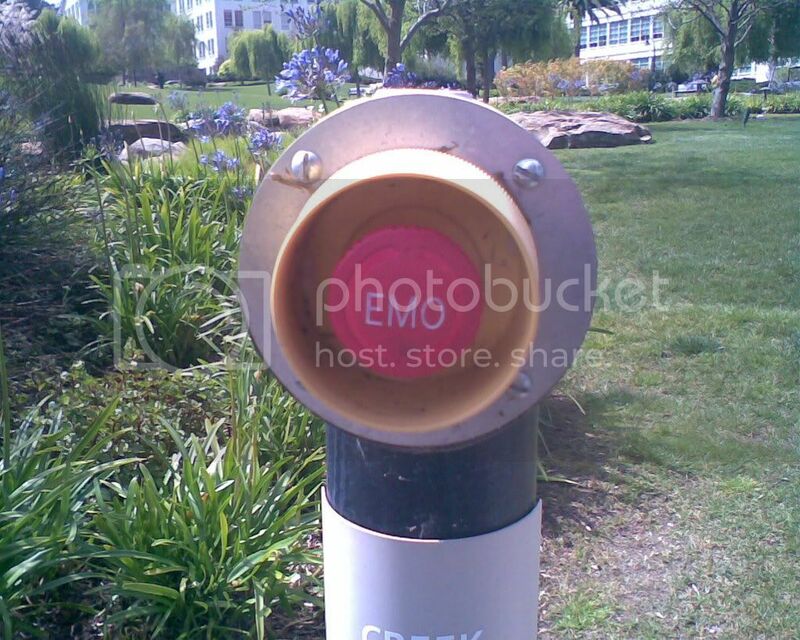 As you may be able to tell, there's a fountain there. And no, that's no munchkin on top, that's Yoda, whose not munckin nor elf, but an unknown tridactyl species. The Lucasfilm headquarters is actually pretty nice, because it allows people to come in and look, at least into the lobby. While that may not sound like much, the lobby is pretty decked out. This, for example, was in the lobby. I'm not exactly sure who the guy is, but I'll hazard a guess and say he has something to do with King Kong. Also in the lobby. 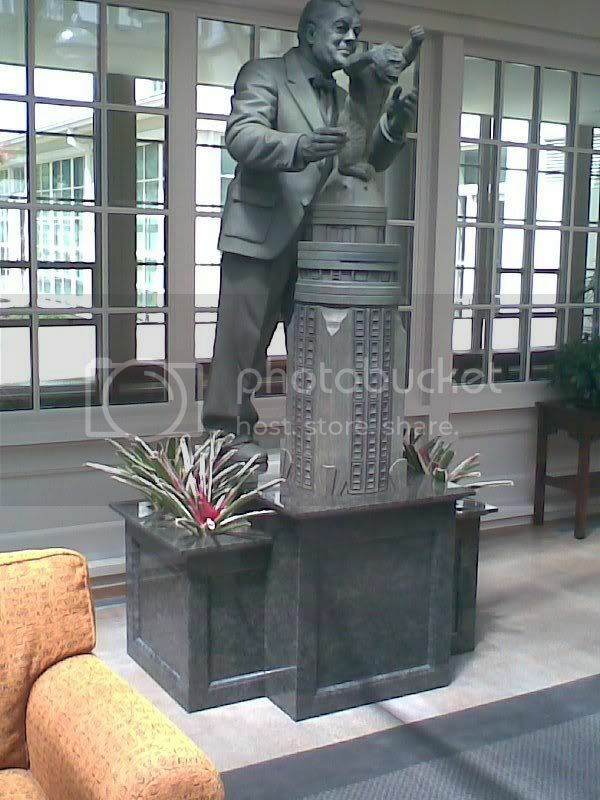 A very nice statue of Boba Fett. And this blurry fellow is, of course, Darth Vader. 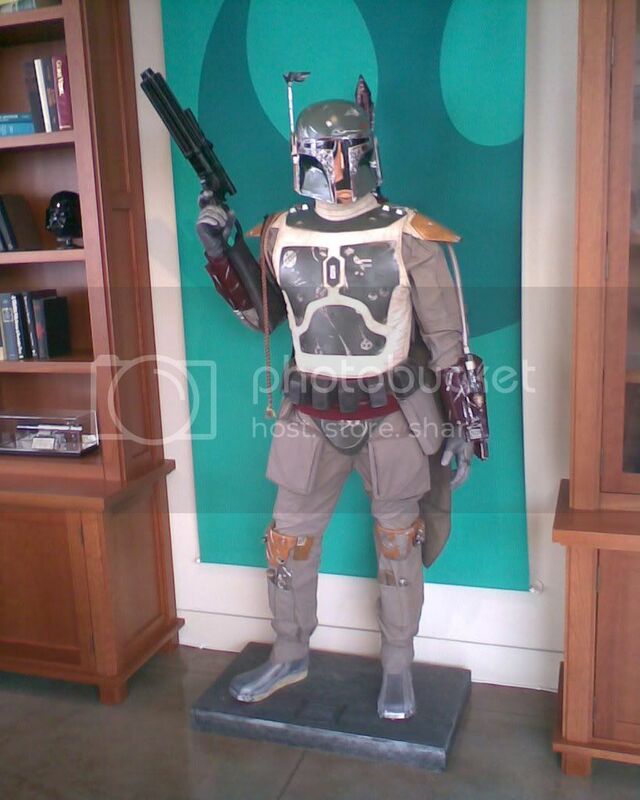 Compared with the Boba Fett costume, this one is actually somewhat disappointingly plain. 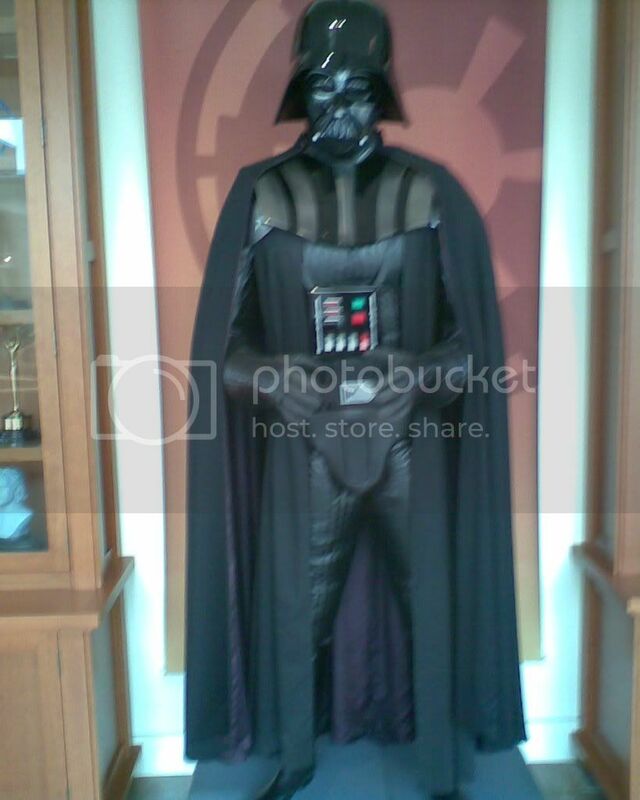 And that heavily-padded codpiece has to go, Vader. Betwixt the two villains is a cabinet filled with all sorts of knick-knacks, trophies, etc. Shelves filled with the severed, shrunken heads of a number of characters. Somewhat disturbing. 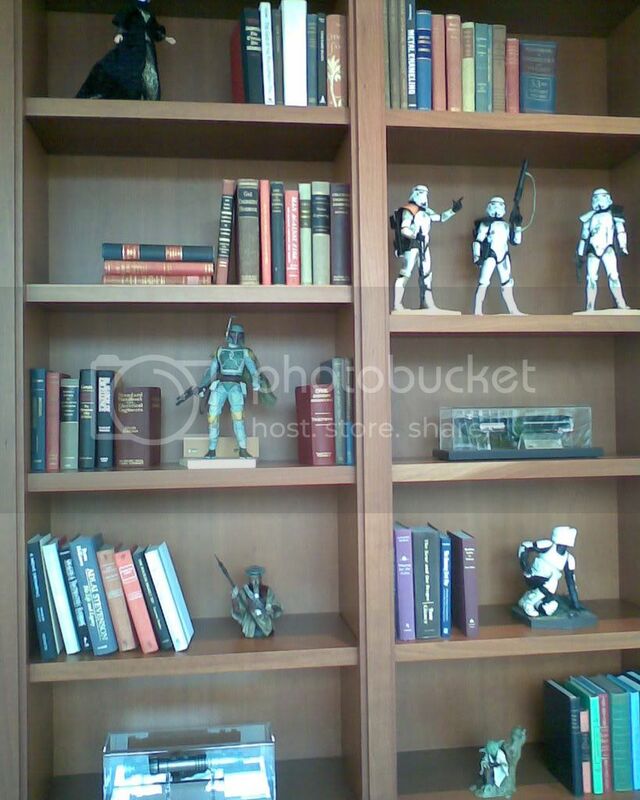 And cute little figurines stand alongside books and Han Solo's blaster, which I never realized had a silencer before. Why a laser gun needs a silencer, I don't know. Now, those shelves seem to house some classy books. 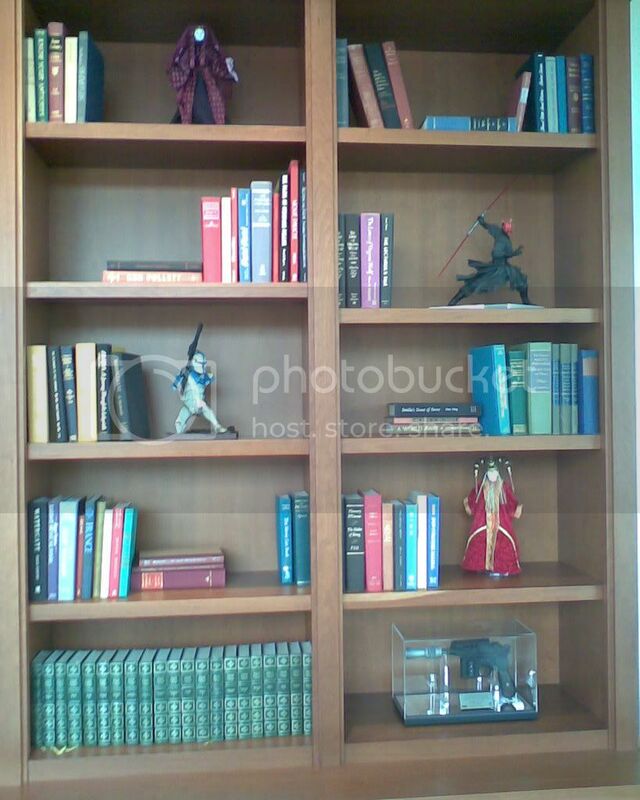 For the most part, they seem to be dictionary's and hardcover books without the slipcovers. 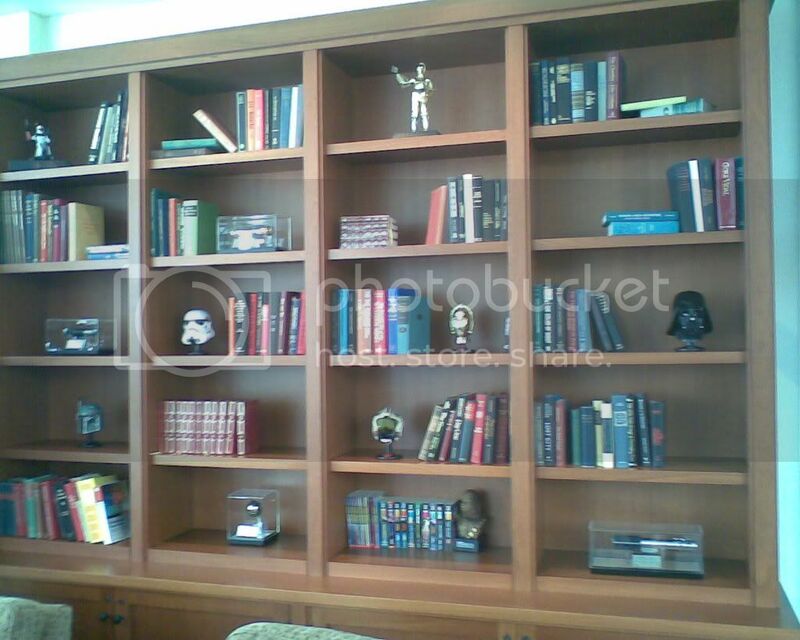 Honestly, I think this looks so much nicer than the modern personal library. Were I to become rich and have my own large house, I would decree that no book should be publicly viewable unless it had an "old-world" look to it. This actually wasn't in the lobby, but in the belly of the building. 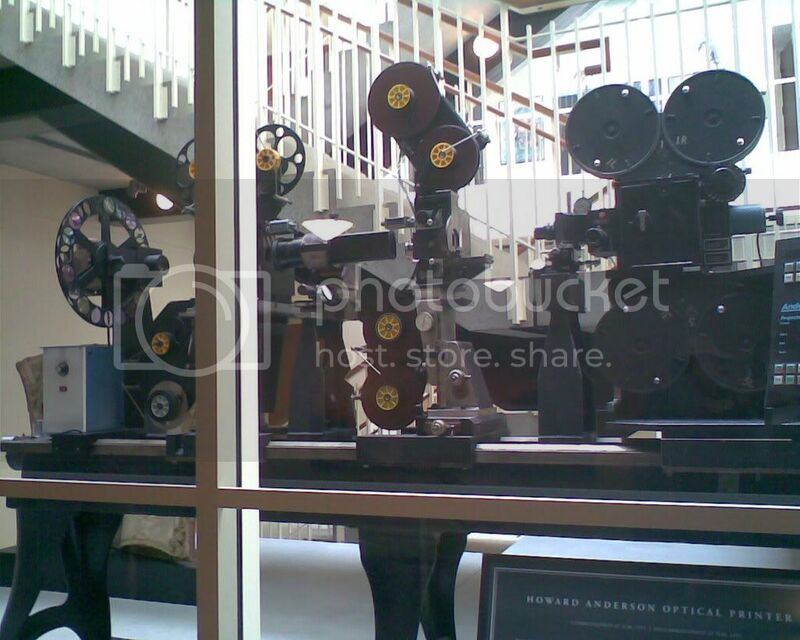 It's one of the world's oldest film editing machines. There was plenty of stuff that seemed more interesting to take pictures of, but I took a picture of this because the recruiter I was speaking with told me I could. So, I did. 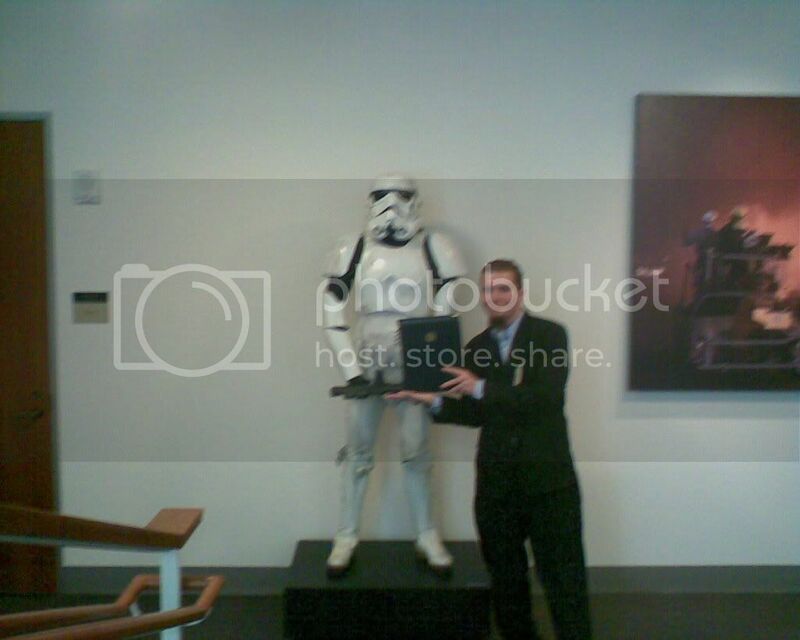 And finally, we have this blurry mess, in which I'm standing next to (and showing off my folder, for some reason) an actual suit of Stormtrooper armor from the original Star Wars movie. And here you can see how overdressed I was. I blame Haas. I was told to dress in business casual. At Haas, that essentially means "Skip the tie; keep everything else." So, I arrive, snazzily dressed, and find that nobody else is wearing so much as a collared shirt. Hell, one of my interviewers was wearing a hoodie. Hopefully, they'll see me as some misguided youth rather than some business school prick. Anyway, there you go. Pictures. I'll keep you updated as the week goes on! 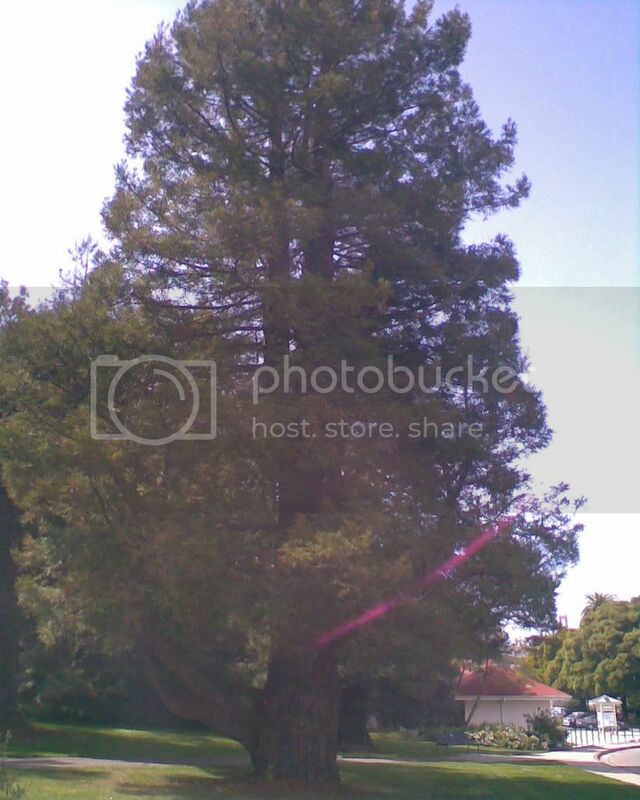 Nice trees, and I'm almost 99.9% sure that your lens flare could be interpreted as an alien ufo phenomena. Good luck with your prospects though. Ditto what squall said on the good luck. I'll keep my fingers, toes and pointy little ears crossed for you in getting this internship.